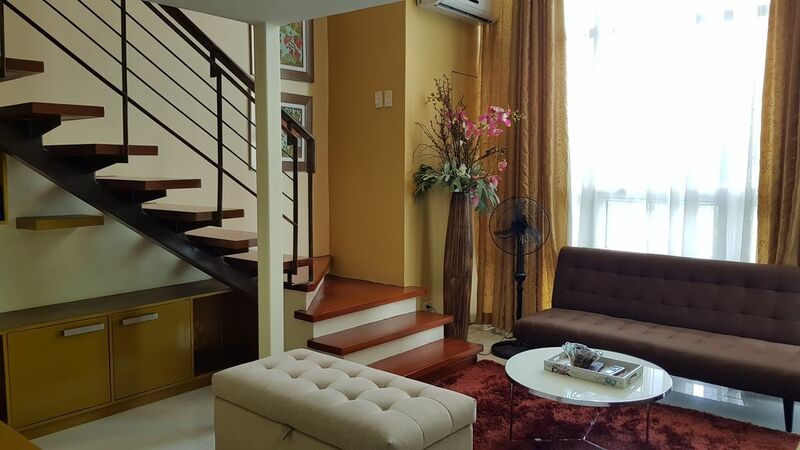 A cozy luxury 1-bedroom and 2-bathroom loft located in the heart of Cebu City. Perfect for families, groups of friends, or couples. Easily accessible to major attractions and malls. Our property is located along Osmena Boulevard, perfect if you re coming for Sinulog Festival. Apartment features a fully stocked kitchen featuring a coffee machine, electric kettle, refrigerator, toaster, microwave, rice cooker, plates, cups, and utensils. Amenities such as shampoo, soap, and body wash are available. Washing machine is also available for guest use. Extra mattresses and sofa bed are available for extra persons. Entire place can accommodate up to 6 persons. Fully furnished with all necessary appliances and amenities to make your stay as convenient as possible! We also welcome long-term stays. For long-term stays, message us directly and we can provide you a special offer. My grandmother and I have this beautiful loft and want to share it with guests who are looking for a comfortable stay in Cebu City. We want to share our love for our hometown with you!